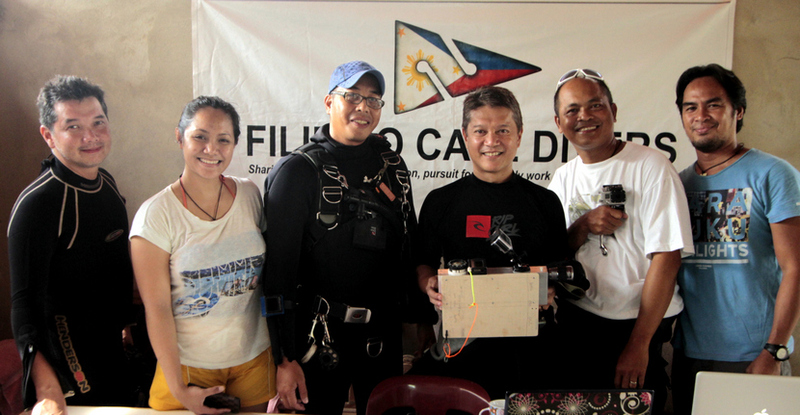 October 17, 2014 October 18, 2014 filipinocavedivers Cool Stuff! Last Sept. 25-28, 2014 the FCD conducted its first convention. Members from Luzon and Mindanao joined the Visayas members on Mactan Island, Lapu-Lapu City for the activities scheduled during the 3-day meeting. The group engaged in discussions on mixed team protocols, held a UTD Advanced Buoyancy and Propulsion Workshop, and conducted an extensive survey (photo, video, directional and distances) of the Pawod Underwater Cave System (PUCS). The logistics for the meeting was ably handled from the official HQ of the team– Jaime’s Dive Center. Gas requirements, manpower support, transportation, accommodations, meals, on site coffee breaks (& after-dive cold beers), WiFi connection and hot showers were generously offered with the distinctive personal attention from team member and dive shop proprietor, Mr. Jaime Lapac and by his better half, Rio. L-R: Jaime, Bernil, Mrs. Amores, Alex, Juan, Dean, Des. Image courtesy of Karen Amores. The team also visited Mrs. Luz Amores to convey their respects and deep appreciation for the laudable efforts of the late Dr. Alfonso Amores, co-founder of the FCD. 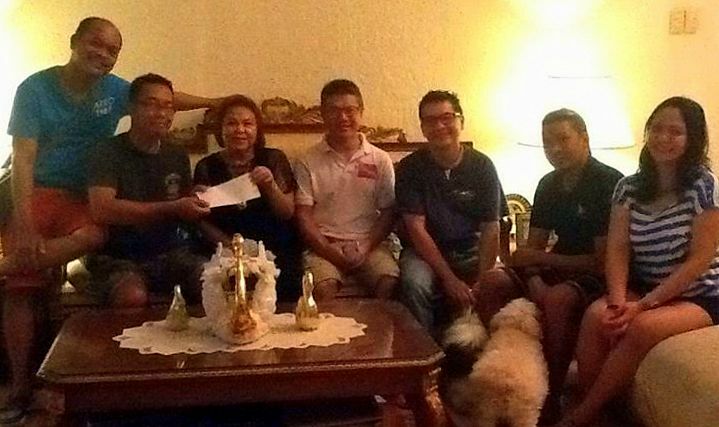 Mrs. Amores handed over monetary donations from their family and friends to be used in the continuation of his advocacy for the exploration and preservation of the underwater caves in the Philippines. The passing of Dr. Amores was a very heavy blow for the team, but during the 3-day convention, the passion and determination of the FCD was renewed and strengthened. The projects that “Doc Boy” initiated will be continued and enhanced. During the expanded survey of the Pawod Cave, the seamless actions of the team produced a detailed map of the site that will be used for the creation of an ordinance by the Lapu-Lapu City for the protection of the area. A short documentary was made from the videos taken of the dives for non-cave divers to appreciate the hidden beauty of the Pawod underwater cave system. The FCD Pawod Survey Team from L-R: Juan, Des, Bernil, Alex, Jaime & Ferdinand, posing with the FCD made Modular Survey Device. The survey tool is composed of a slate attached to an aluminum frame with an underwater compass, a dive computer, a forward facing light and a GoPro Hero3 camera. Recording of the depths, run time and directional changes is made easy with the camera capturing the compass and computer display during the survey run.